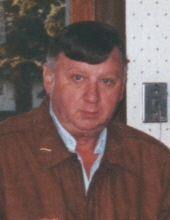 Kenny L. “Moose” Kendall, age 73 of Appleton, WI formerly of Darlington, WI passed away Friday, November 30, 2018 at his home in Appleton. He was born December 20, 1944 in Darlington the son of Joseph and Mary (Martin) Kendall. Moose graduated from Darlington High School in 1963. He was united in marriage to Gayle L. Fisher on May 5, 1973 at Holy Rosary Catholic Church in Darlington. Moose lived in Darlington until moving to Madison, WI and later to Appleton in 1997 where he has resided since. He worked in Rockford, IL where he was B grinder, and later worked at the Grande Cheese Company in Darlington and Badger Mineral Distributing Company. Later, Moose became a courier driver for Purolator in Darlington and in Madison. Moose is survived by his wife Gayle at home; two children: Thomas Kendall of Menasha, WI, and Tamara Stanley of Appleton; 3 grandchildren: Kyler and Noah Derrick, and Araya Soule; two great-grandsons: Elijah and Marcus Kenneth Derrick; and two brothers: Robert (Jean) Kendall and Glenn Kendall both of Darlington. He was preceded in death by his parents; one brother: Patrick Kendall; two sisters: Sally Burgess and Mary “Babe” Helmeid; and one son-in-law: James Stanley. Moose was a member of St. Pius and St. Thomas Moore Catholic Church in Appleton. He was a true dog and cat lover. Moose enjoyed watching the Chicago Bears, Wisconsin Badgers, and Darlington Redbirds. He cherished his family, especially his grandchildren, and great-grandchildren and the memories they created together. Moose will be sadly missed and fondly remembered by his family and friends. A funeral service will be held Tuesday, December 4, 2018 at 1:00 P.M. at Erickson Funeral Home (508 Main St., Darlington) with Rev. Nick J. McElrath of First Baptist Church in Darlington officiating. Burial will be in Miller Cemetery in rural Wiota, WI. A visitation will be held Tuesday, December 4, 2018 from 11:00 A.M. until the time of services at the funeral home. Online condolences may be expressed to the family at www.ericksonfuneralhome.com. For those who prefer, a memorial fund has been established in Ken’s name. To send flowers or a remembrance gift to the family of Kenny "Moose" Kendall, please visit our Tribute Store. Memorials may be written out to "the family by Kenneth Kendall"
"Email Address" would like to share the life celebration of Kenny "Moose" Kendall. Click on the "link" to go to share a favorite memory or leave a condolence message for the family.